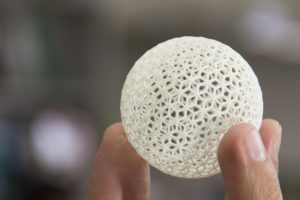 3D printing, alternatively known as Additive Manufacturing (AM) has already been embraced in the modern business world for quite some time. But what exactly is it? A 3D printer allows you to print solid three dimensional objects through a digital file. 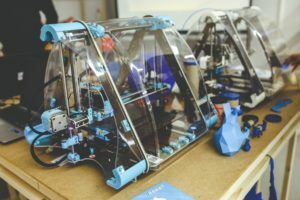 Various technologies and operating systems are available to run these 3D printing mechanisms, and It has the ability to print the simplest,to the most complicated structures. 3D printer is a great source of convenience and new, endless possibilities. Start from the popular online catalogs and ready-to-print designs, along with a set of convenient and easy-guiding design programs. Such catalogs and programs make it convenient fornewbies to adopt the 3D printing technology for commercial, or even personal purposes. Looking for a stand for your smart phone to read your ebook or watch a video? You can easily find a smartphone stand design online and print it at your own convenience. You can even print custom-sized handy gadgets which you cannot buy from stores – what did we say about endless possibilities? Many businesses have adopted 3D printing. One of them is the interior design and construction industry. Design and building firms use the 3D printing technology to demonstrate the real-size structures of what the client will be getting – clients no longer need to imagine what it will look like or worry if it will fit. You can even 3D print a house – just 24 hours is all you need. It’s efficiency at its best. Looking to custom make your own jewelry? You can just print them like these new-age accessories stores are doing – American Pearl, Shapeways, Nervous Systems. All you need is the 3D printer and a wee bit of creativity. You could even print your own makeup. That shade of pink that you really want on your lips? Just get the hex code of the color and print it into a lip gloss with Mink. Tempted to try out the possibilities yet?